A very exciting episode takes place today. Allison Phillips and Hewerton Moreira from Wisconsin Sports Group to talk about their mission and the Professional Futsal League in the US. 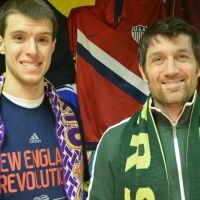 Baxter and Simon talk USMNT and MLS news and predict this weeks matches. Catch all the excitement!